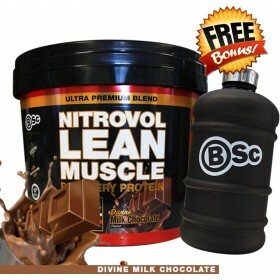 Body Science have done it again with their all new NitroVol Ultra-Premium Lean Muscle Protein Powder. It is a Whey and Casein blend designed specifically to optimize your results in the gym, and can be used both post training and as a general all purpose protein any time of the day. 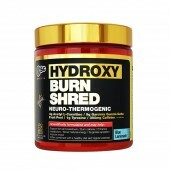 If you are searching for a lean protein powder that can help you build your muscles without adding unwanted fat, this is one of the best choices on the market today. NitroVol by BSc is high in nutrients which are generally considered the best available for lean muscle, strength and muscle recovery. Unlike other conventional supplements that focus on only one area such as high protein, strength, higher carbohydrates or energy, NitroVol harnesses the power of several bio active nutrients to provide multi-level support by combining ingredients that have both short and long-term effects. NitroVol is a scientifically engineered lean muscle building activator, formulated for athletes, bodybuilders and individuals that are serious about building lean muscle while optimizing recovery. Body Science NitroVol contains an amazing amino acid protein profile with smart Carbohydrates, Creatine, Glutamine, Glycine, Electrolytes, EAAs, Arginine and BCAAs, which are generally considered the best available ingredients for muscle-building and recovery. NitroVol meets the requirements of those eating low fat meaning it can help you put on fat-free muscle, high protein blend and much much more. We all know Body Science are always breaking barriers in the supplements industry with highly researched ingredients and products, and NitroVol is no exception. 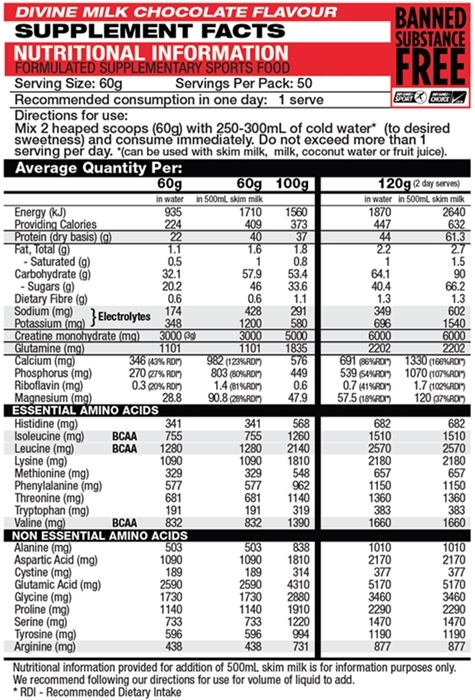 Research indicates that a Whey and Casein blend is superior to Whey only for lean muscle building. Due to its Creatine content NitroVol provides more advanced energy than other formulas, promoting a-bolic status and muscle-building. Creatine cannot make you fat, no matter what. NitroVol is safe and effective when used as directed by healthy individuals. NitroVol is part of Informed Sport and is considered banned substance free. The team here at Rock Hard Supplements suggest those wanting to build lean muscle, get stronger while staying leaner and keeping that unwanted fat away use NitroVol by BSc. It’s Ultra Premium Protein Blend with added Creatine, BCAA’s and more make it your number 1 choice for a Lean Muscle Building Protein Supplement. With that being said NitroVol is not only for the bodybuilding world, anyone who lives an active lifestyle and wants the added benefits of a lean protein with Amino's for recovery and more can take this product. Simply mix 1-2 scoops of Body Science NitroVol in your Rock Hard Supplements Shaker Bottle, with 250-350 mls of water and enjoy.